We are located at 12105 West Cedar Drive, Lakewood, Colorado 80228. Just north (and one block west) of the Union and Alameda intersection. Yes, we are open to the public with 14 shooting lanes; 6 standard and 8 tactical. You do not have to be a member to shoot on the range; however, there are many benefits to membership. Members can reserve lanes in advance and enjoy a number of other exclusive amenities, including the use of our member’s lounge, special discounts, and members-only events. We have several membership packages to choose from and will be accepting membership applications online and in person at our facility. Sign up here to be one of the first to have the opportunity to join our community. What is the age requirement for shooting at the gun range? Anyone under the age of 18 must be accompanied by a legal guardian at all times on the shooting range, when handling firearms in our retail section, or when using the virtual training simulator. Other Age Restrictions: Under 10 years old – not allowed on the range or in the Virtual Training Simulator. 10-17 years old – must be supervised by a parent or legal guardian, cannot rent firearms. 18-20 years old – may shoot, rent or purchase rifles and shotguns or shoot personally owned handguns without parent or legal guardian supervision. Cannot rent handguns. Must be 21 years old to shoot full auto firearms (rentals or personally owned), rent handguns and purchase centerfire handgun ammunition. Children under the age of 10 are not permitted to shoot on the range, but when accompanied by a legal guardian are more than welcome to explore firearms in our retail area and use the virtual training simulator. What is your return policy/class cancellation policy? We accept returns for most items that we sell, as long as the item is unused, in its original packaging and the packaging is in new and saleable condition (not torn or damaged). Please see below for details on specific returns, as well as a list of items that cannot be returned. We encourage all customers to do their due diligence prior to purchasing a firearm; including renting the firearm and shooting it on our range. However, we understand that this is not always possible. If you are not satisfied with your firearm, you may return it within 30 days of purchase, subject to a 10% restocking charge. The balance will be returned on a Bristlecone gift card, or may be applied to another purchase at the time of your return. If you are not satisfied with your purchase, you may return the item within 30 days of original purchase for exchange or refund; provided, however, that the item is unused, in the original packaging, and the packaging is in new and saleable condition (not torn or damaged). ALL SALES OF CLEARANCE ITEMS ARE FINAL, and returns will not be accepted for any reason. Cancellations must be made in writing ([email protected]) or by phone at 303.985.0989. Student substitutions can be made at any time. Cancellations received more than 72 hours prior to the class – students will be eligible for a full refund or may transfer (moving the participant(s) to another class within a three-month period). Cancellations received within the 24 to 72-hour window prior to the class – students will not be eligible for a refund, but will be eligible for a one-time class transfer (moving the participant(s) to another class within a three-month period), for $25 rescheduling fee. Cancellations received less than 24 hours prior to the class or failure to attend the class -students will not receive a refund, nor will they be eligible for a class transfer. This includes weather-related, last minute cancellations. Students should understand that instructors and range time are reserved predicated upon class participation. Bristlecone reserves the right to cancel or reschedule classes at any time. If classes are canceled or rescheduled due to weather or unforeseen circumstances beyond our control, you are entitled to a full refund. If a class is canceled you will be notified via the email address you provided during registration. Please make sure we have up to date contact information prior to attending the course. Bristlecone is not responsible for any travel fees or expenses incurred related to your registration if a class is cancelled. Bristlecone reserves the right to limit or decline any return or exchange. There are two main concerns when it comes to lead projectiles fired in an indoor environment; air quality (inside and outside of the facility) and the safe and effective removal of lead waste from inside the range. Our air filtration system and the customized HVAC eliminate lead contaminants from the air. Even though there are currently no federal requirements for the filtration of air exhausted from an indoor shooting range, our system is designed to do just that. In fact, because of our advanced filtration system, the air expelled out into the environment is actually cleaner of contaminates than the ambient outside air surrounding the facility. 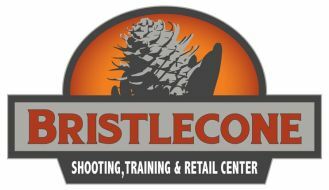 Bristlecone Shooting, Training & Retail Center does not generate any solid lead waste from shooting range operations. Rather, all lead bullets (projectiles shot into bullet trap) are mined approximately every nine months and treated as recycled waste. Likewise, the HEPA filters are changed approximately every nine months (or sooner, if needed) and recycled as well. All recycled materials are be handled by licensed professionals. Since safety is our main concern, we have incorporated numerous safety features and practices in to our facility design. • A rubber trap bullet containment system dramatically reduces projectile impact noise and contaminate dispersion, as well as thoroughly mitigates fire danger. • Specialized ballistic baffles installed along the ceiling and walls within the range assist in noise mitigation and prevent misdirected shots from exiting the range area. • Ballistic shooting stalls ensure the safety and comfort of our patrons. Do I need my own gun to shoot on the range? You do not need your own gun to shoot on our range. We have an extensive selection of firearms to rent; everything from small concealed carry weapons and handguns to shotguns and semi-automatic rifles. We also offer the opportunity to shoot fully automatic firearms (Class III) through our gun rental program. If you do choose to take advantage of our firearm rental program, you will need to purchase ammunition for the rental firearm on-site. I am not from Colorado or I don’t have a Colorado license. Can I still shoot at Bristlecone Shooting, Training & Retail Center? Yes. All you need is a valid, government-issued photo ID (passport, ID card, driver’s license, etc.) in order to use our gun range, one of the best in the Denver area. What if I have never shot a firearm before? If you’ve never shot a firearm before, we require that you complete the Firearm Rental Safety Orientation Course, which takes about 10 to 15 minutes. Can I use my own firearm in the shooting range? Yes. You may use your own firearm. All firearms and ammunition entering our facility are subject to inspection by our staff prior to entering the range. All handgun calibers are allowed, however rifles are limited to 7.62mm (.300Win/30-06/.308) and smaller. Yes; however we do not allow steel core ammo, incendiary, or “tracer” rounds on the range. All ammo entering our facility is subject to inspection by our staff prior to entering the range. If you are using one of our rental firearms, you must use our range ammo offered at the range counter. Can I shoot rifles and shotguns at the range? Yes. We allow you to shoot all rifles up to 7.62mm (.300Win/30-06/.308) and shotguns with slugs only. How long are the shooting lanes at your center? All 14 of our gun range lanes are 25 yards long.